A perfect replacement for the old fashioned pinspot. This LED Pinspot is ideal for highlighting bars and tables, in marquees or clubs. Using an ultra-bright 3 watt white led, this unit produces a crisp white beam from a 6 degree lens which is perfect for shining on mirror balls. 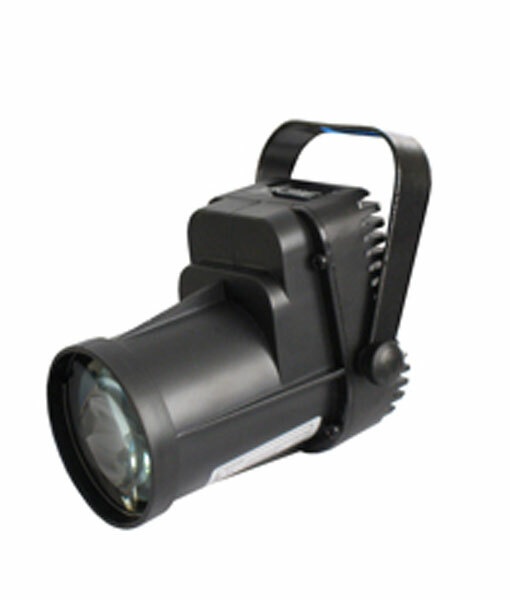 Supplied with a replacement 11 degree lens, which is better for spot lighting tables.